23 Feb 2019 - Daniel Sturley Did you know? International Convention Centre, Birmingham & Prince Albert - Did you know? DID YOU KNOW? ...The International Convention Centre stands on the site of Bingley House, built in 1760. In 1849 it’s grounds were used as a temporary exhibition of the city’s manufacturing and its wares. One of the visitors was Prince Albert. He was so impressed, it is said that the experience inspired his creation of the Great Exhibition of 1851. A permanent exhibition facility, Bingley Hall, was built in 1850 and stood on the site until 1984 when it burnt down. The history of Canal building in Birmingham - Did you know? DID YOU KNOW? ... James Brindley, the king of canal building, died just days after the completion of his last project. His first in Birmingham, the Newhall Branch, was built in the late 1760s and ended in a wharf behind Great Charles Street. It was drained and built over in the late 1930s. Cambrian Wharf (right) is where this branch connected with the Birmingham and Fazeley Canal and is now used for residential and commercial mooring. 23 Feb 2019 - FreeTimePays Did you know? DID YOU KNOW? 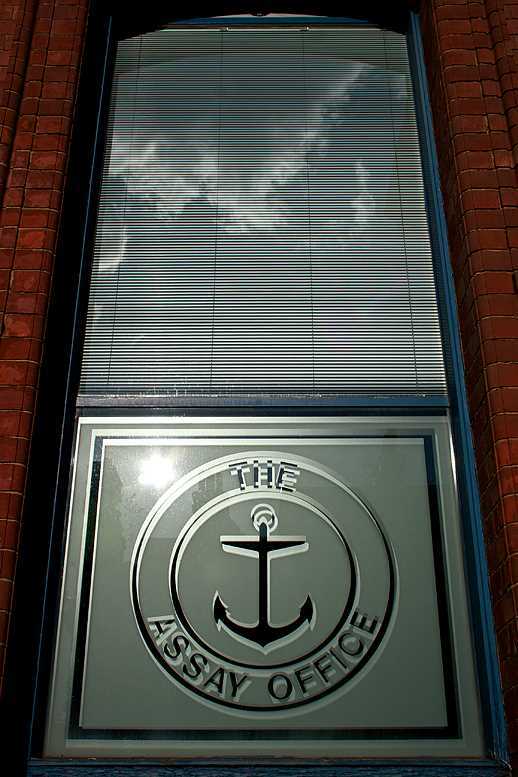 The anchor, Birmingham's hallmark for jewellery and precious goods, was chosen at a meeting held at the Crown and Anchor Tavern in the Strand in London. In 1773, there was a need for more Assay offices other than London and Sheffield and Birmingham were chosen. The story goes that the hallmarks were decided on by giving the crown to Sheffield (later changed to a rose), and the anchor to Birmingham from the pub's name. 23 Feb 2019 - Elliott Brown Did you know? Birmingham City status - Did you know? DID YOU KNOW?... 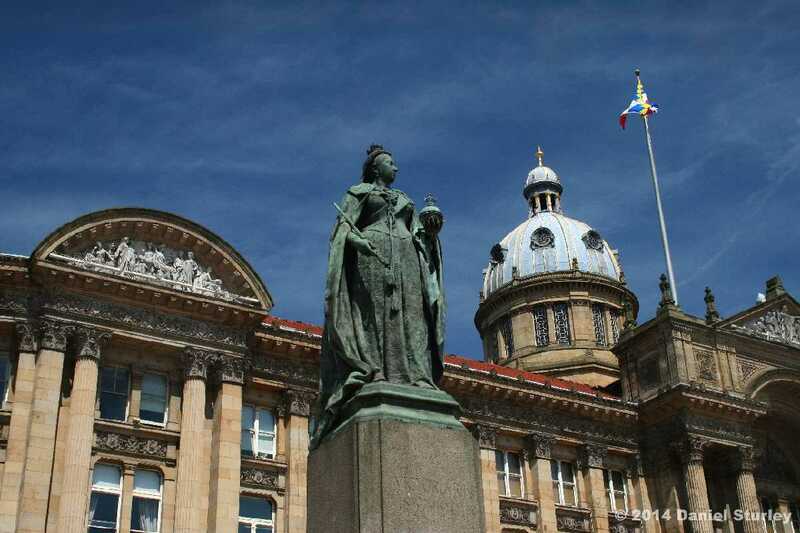 Birmingham was one of the last major cities in England to receive city status, only being fully incorporated in 1889. The city has had a long history of seeking devolution from Westminster, most notably by Thomas Attwood and his founding of the Birmingham Political Union. 22 Feb 2019 - Elliott Brown Did you know? 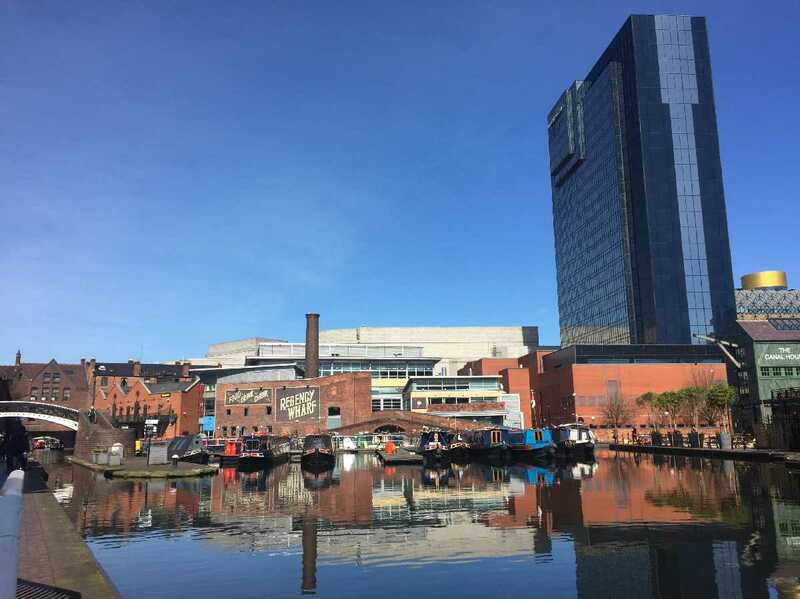 There are three buildings around the Birmingham Canal Navigations near Brindleyplace that are historic. The first is The Brasshouse (now a pub) on Broad Street. The Brewmasters House is near The ICC. And a bit further down is The Malt House (also a pub) close to Arena Birmingham (was the NIA / Barclaycard Arena) and the Birmingham & Fazeley Canal at Old Turn Junction. Now a pub and restaurant at Brindleyplace, this building was first built as the Birmingham Brasshouse in 1781 with alterations in 1870. 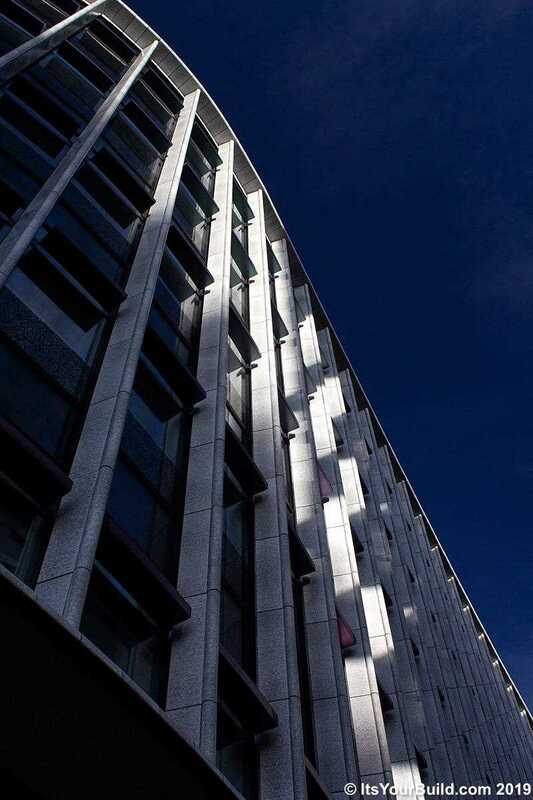 Now a Grade II listed building a 44 Broad Street, Birmingham. The Brasshouse is a Traditional Free House and is also home to the Celebrity Restaurant (also known as the Celebrity Indian Restaurant). This view from Broad Street seen during late December 2009. Built of brick with stucco dressings and a slate roof. This view also from December 2009. Now a service road for Brindleyplace, going off Broad Street is what used to be known as the Brasshouse Passage. There is an entrance to the bar and restaurant from this side. The Birmingham Metal Company founded the Brass House in 1781. Here they heated zinc and copper to produce brass. To make toys, buckles, buttons and badges. More information here Brass Founders and the Brass House. I found a route from Brindleyplace along Brasshouse Passage leading back to Broad Street during early January 2019. And saw this view of the pub. It's amazing to think that this Georgian building has survived the centuries and has been restored in recent decades into the pub it is now (probably around the time that Brindleyplace was built in the 1990s). One of my earliest photos of The Brasshouse taken in April 2009 when I started going around Birmingham with my fist digital camera. This view from the Canalside on the Birmingham Canal Navigations Main Line, not far from the Broad Street Tunnel. The tower block behind is the Quayside Tower on Broad Street. This February 2019 view of The Brasshouse from Brindleyplace. The view you would see if you leave Broad Street and are walking towards Central Square at Brindleyplace. Walked past this side before, but this is the first time I have got a close up view of it (not counting my canal view from 10 years earlier - see above photo). They are now calling the Celebrity Restaurant, the Celebrity Indian Restaurant! Quayside Tower again is visible even from up here! There is a stepped wall near the fence above the Broad Street Tunnel (the tunnel is closed for the Midland Metro Alliance works as of early 2019). A Grade II listed building, there are different dates from the early 19th century suggesting from when it was built. The 1978 listing, as 7 St Peter's Place, says it dates to circa 1800. The brown Birmingham Conservation Trust plaque says c. 1805. While Pevsner says 1816! The house is made of brick with a hipped slate roof with deep flat eaves. This view from April 2009 from Brindleyplace opposite (round about when I started taking photos around Birmingham). This view also from April 2009 looking towards The Brewmasters House and The ICC Birmingham. The Birmingham Conservation Trust undertook a programme of restoration during 1983 to 1984 (this was well before the construction of The ICC or even Brindleyplace!). The building was glazed by the City Architect in 1989. I went back in February 2010 for some more close up photos of The Brewmasters House. There is also a nearby bridge called the Brewmasters Bridge, which links behind the house and Brindleyplace (near the Sealife Centre). There is a brown plaque from the Birmingham Conservation Trust, dating the buildings erection to 1805 and it's restoration to 1984! Another February 2010 view from Brindleyplace near the Waters Edge looking towards The Brewmasters House. It is now just offices. Could make a nice little canal museum about what the Brew Master did here in the 19th century! The steps behind up from The ICC go past the ICC Energy Centre and you can walk to Cambridge Street from here. This February 2010 view I think from the Brindleyplace / ICC footbridge (it has steps down the canal side). The Brewmasters Bridge is seen on the left, and behind The NIA Birmingham (refurbished and renamed in 2014 as the Barclaycard Arena and in 2017 Arena Birmingham). Three Brindleyplace, a Venetian style office building is on the left. This building was originally the Kingston Building, built in 1803. 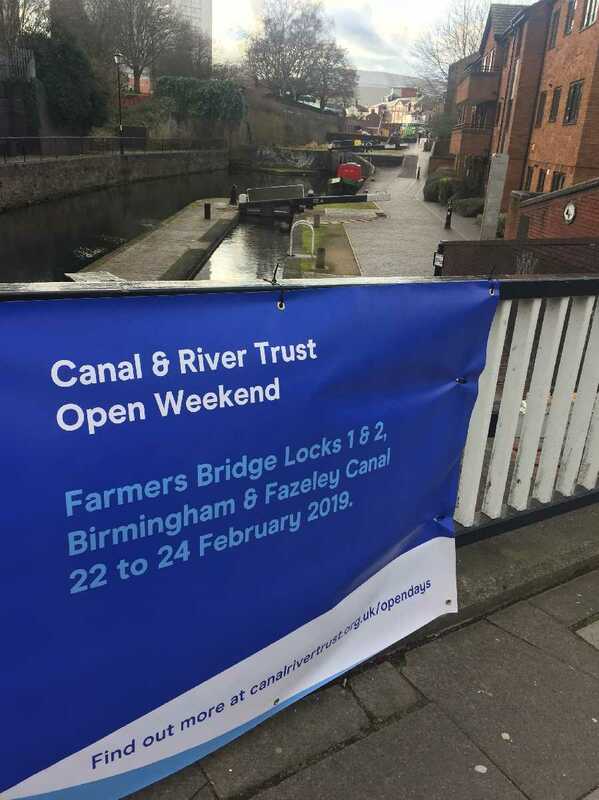 It is near Old Turn Junction where the Birmingham & Fazeley Canal (Cambrian Wharf and Farmers Bridge Locks) meets the Birmingham Canal Navigations Main Line (the Oozells Loop is also nearby). It was built as a nail warehouse. 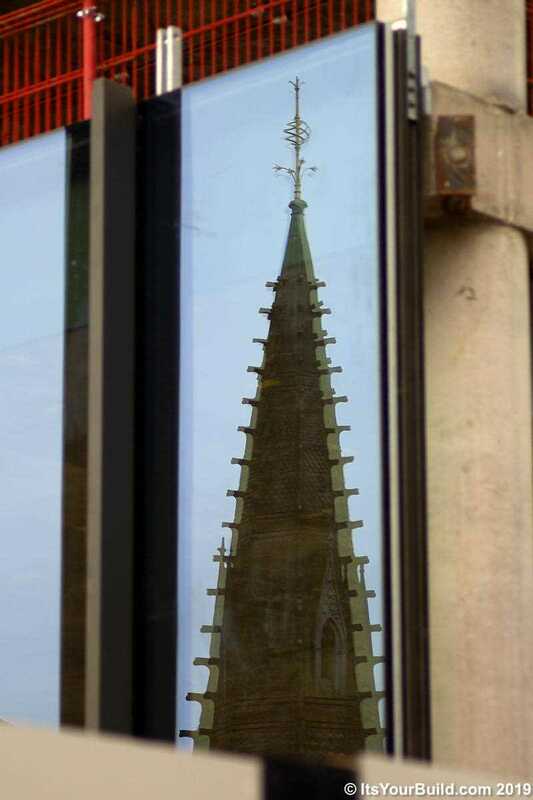 This view from April 2009 when I started to take photos around Birmingham. The Malt House is remembered for those photos / videos of US President Bill Clinton drinking a pint of beer on the outdoor balcony in 1998 during the 19G8 summit held that summer in Birmingham. This view in June 2009, by this point I had changed cameras. The NIA is seen to the left. The footbridge on the right leads to a Canal Garden that was installed in the summer of 2012 with a model narrowboat (I think it is still there). A remnant of the annual City Centre Floral Trail. Behind the pub is a Grade II listed warehouse at 79 Cambridge Street dated to 1820. The remains of the loading bays can be seen, there is still doors there, but there is now grills in the way, and some have been bricked up. This view below was taken during May 2014. Behind The Malt House, the National Indoor Arena was been transformed into what was to be known as the Barclaycard Arena. It reopened in late 2014. And kept that name to sometime in 2017, when it was renamed again to just Arena Birmingham. In the years since my earlier photos, the pub had some new pub signs installed around the building. In March 2016, the flags of the Six Nations were flying outside of The Malt House. Italy, Ireland, Scotland, Wales, France and England. The Barclaycard Arena is seen (now completed) behind the pub. The bridge visible in this photo is the Brewmasters Bridge. The tourists that were around the city centre canals (at the time), were probably there also for the Badminton at the Barclaycard Arena. The view was taken from Brindleyplace. It is now July 2018 at The Malt House, and the bunting was out for the World Cup 2018, being held that summer in Russia. A nice blue sky, and it was probably hot! Arena Birmingham seen to the left. The trees and flowers in full bloom! For the first time in 28 years England made it to the Semi Final, but they lost (again). In the 3rd Place Play-off they ended up in 4th, like in 1990. France won that years World Cup for the first time in 20 years (since they last won it in home in France in 1998). 20 Feb 2019 - Elliott Brown Did you know? Here we take look at Upton House in Warwickshire, Hanbury Hall in Worcestershire, Shugborough Hall in Staffordshire and Wightwick Manor in Wolverhampton. All National Trust properties that you can visit from the spring onwards. They might be open all year around, but I think it's best to visit in the spring, summer or early autumn. 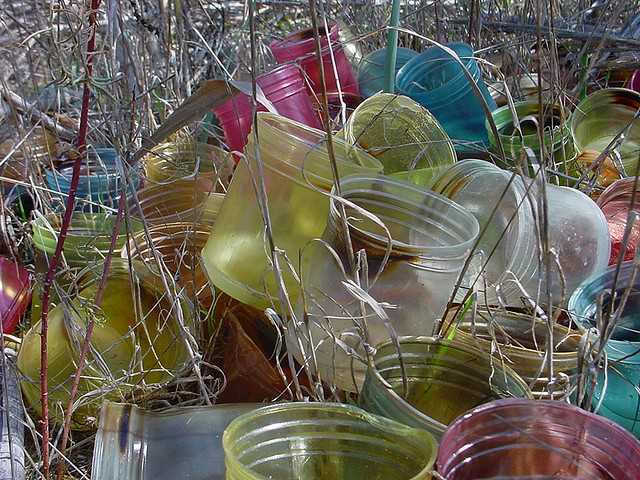 Especially for the gardens and grounds. 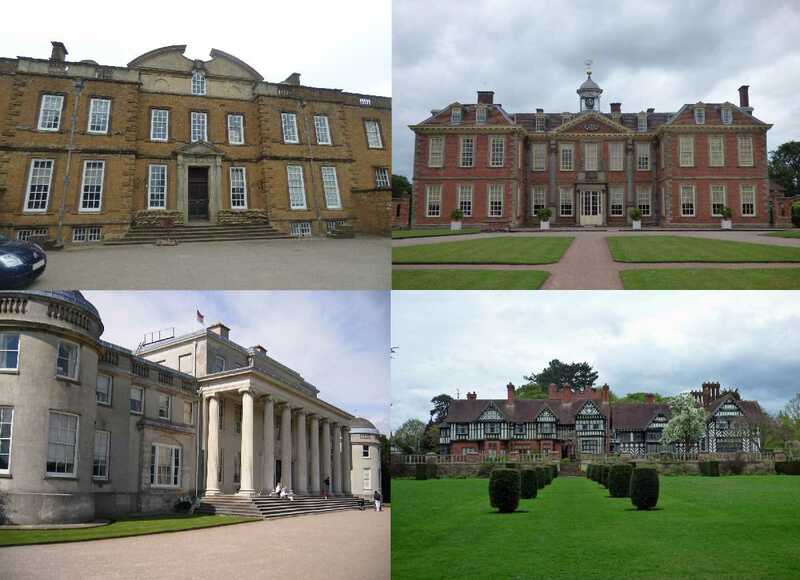 Now on to this selection of National Trust properties! Upton House from a visit during May 2016. This visit to Upton House in 2016 was while the house and grounds was set up for an event called "Banking for Victory! A Country House at War". Like it could have been in the 1940s during World War II. At this time it was used as a bank. It is a country house located northwest of Banbury in Oxfordshire in the areas of Ratley and Upton in Warwickshire. It was built in 1695 for Sir Rushout Cullen, Bt and might have been designed by one of the Smiths of Warwick. Possible alterations in 1710 and again in 1735 for William Bumstead. Remodelled in 1927 to 1929 by Percy Morley Horder for Walter Samuel, 2nd Viscount Bearsted. It's a Grade II* listed building. Built of Ironstone ashlar. This view at Upton House during May 2016 from the rear lawn area. This was a big lawned area, and at the far right side was an outdoor swimming pool! It leads down to the gardens on the lower part of the grounds. The house has a 16 window range. From here it looks quite wide! There is a small terraced garden just in front of the back of the house. Bunting from the houses time as representing as if it was during wartime. Inside there was more examples of what the house may have looked like during the 1940s. A look around the inside of the house. This view from a balcony on the first floor looking down at the library. In wartime most of the furniture would have been under white sheets. In 2016 they were projecting a film onto the sheet between the pair of portraits. "The pre-war heyday of the country house party never returned." Another room, I think the lounge or living room. How it could have looked during the 1930s or 1940s. A pair of comfortable chairs with a fire in the middle. I assume that there must have been a wireless (radio) in this room? Also old books on the shelves. Was also a desk near the window, which I assume is where Lord Bearsted may have worked, or read his newspaper? If you fancy a bite of lunch and a hot drink, then the Wartime Pavilion Restaurant is the place to come! That was temporarily renamed to "Wartime" in 2016 while Upton House was in it's 1940s wartime representation mode. Now just the Pavilion Restaurant again. Other place for tea is Iris's Tea Room and the Tea Window. Hanbury Hall from a visit during June 2018. During this visit in the summer of 2018, they had Falconry on display in the grounds. We got a guided tour of the house, but only on the ground floor. After I went back outside, I didn't go back in to have a look around upstairs. It is a large stately home built around 1701 in the Queen Anne style by William Rudhall for Thomas Vernon. Red brick in Flemish bond with ashlar dressings. It is a Grade I listed building. Located in Hanbury, Worcestershire. The nearest town is Droitwich Spa. It has been a part of the National Trust since around 1953. The last baron Sir George Vernon took his own life here in 1940. And their were no further heirs and the Baronetcy which became extinct. If you are a bit early for your guided tour of Hanbury Hall, then head towards the Long Gallery. This view from The Sunken Parterre. Inside was a small art gallery featuring the art of local artists. The building is a Grade II* listed building. Built in 1701 and had alterations in the mid 19th century. Red brick in Flemish bond; hipped plain tiled roof. In the Queen Anne style. Inside are two Jacobean overmantels and also frames a funerary hatchment with the three Vernon wheatsheaves. Prince of Wales feathers inside believed to have originally come from Tickenhill House, Bewdley. The Orangery at Hanbury Hall. Also known now as The Orangery & Mushroom House. It is a Grade II* listed building. Built around 1750. Red brick in Flemish bond with ashlar dressings and hipped plain tiled roof behind parapet. There was orange trees outside. And a large field. Which was behing used by many families on the day of our visit. One area was roped off for a falconry display (I think we kept missing it). Although I did see the handler with a bald eagle on his special glove! The interior of the house on the ground floor. Seen during a guided tour. This was the Great Hall. We were taken in and out of the various rooms. The main entrance to the house lets you into this room. Above the fireplace on the left was a marble bust of Thomas Vernon. Behind (not in this photo below) was the staircase with the Life of Achilles wall paintings. Unfortunately I did not go upstairs as it was not part of the tour, and I didn't later return to go back inside of the house. The Dining Room at Hanbury Hall. Quite grand. Family portraits all round the room and a painted ceiling above. I believe that the papers on the table was representing a Suffragette meeting in 1918 (as 2018 was the 100th anniversary of Women gaining the vote). Shugborough Hall from a visit during August 2008. I hadn't fully taken up photography in 2008, and started using my then compact camera in 2007 - 2008 when we went to various stately homes or on holiday to various places. The hall is located in Great Haywood, Staffordshire, not far from Cannock Chase. It was the seat of the Earls of Lichfield and the estate was in the possession of the Anson family for three centuries. When the 4th Earl of Lichfield died in 1960, the National Trust was allocated the hall and it was leased to Staffordshire County Council. Management returned to the National Trust in 2016. The hall is a Grade I listed building. Was built from about 1695. Was enlarged from 1760 to 1770. Samuel Wyatt remodelled it in the late 18th century. More specifically it is in Colwich, Stafford. The rear view of Shugborough Hall seen in the summer of 2008. I recall that we did go inside of the house, but I only got a handful of photos from outside of the house and around the grounds. Some steps down from the French windows that Patrick Anson, 5th Earl of Lichfield (1939-2005) might have enjoyed the view of his garden. Also known as Patrick Lichfield he was known as a photographer and he took official photos of the Royal Family. He lived at Shugborough Hall after his grandfather's death, but he gave the estate to the National Trust in 1960 in lieu of death duties. The Doric Temple at Shugborough Hall. It is a Grade I listed building and was designed by "Athenian" Stuart, circa 1760. It was identical to one that he had built at Hagley. Made of stone and plastered brick. With 6 Doric columns. It has been recently restored (the listing was from 1968 so perhaps restored in the late 1960s?). A Chinese style bridge. Grade I listed as the Garden Bridge. Probably dates to the late 18th century. It is on the River Sow. The Chinese House is next to it (not in the photo below). That was erected by Admiral Anson circa 1747 after his voyage round the world. Outbuildings at Shugborough Hall, not far from the Vegetable patch. Which is a Grade II listed building dating to the early 19th century, although I'm not sure the building in the photo is part of the same listing. This might be the Orangery. I've not been back in over 10 and a half years now. Seems like that there is now the Mansion Tea Room somewhere around this location. Also known as the Shugborough Hall Cafe. Wightwick Manor during a visit in April 2018. On this visit we became members of the National Trust. Eventually received a card that can get scanned whenever you visit any National Trust property around the UK. framing. The house was built in the Aesthetic movement and Arts and Crafts movement. And the house is half-timbered, Mock Tudor style. A look around the house at Wightwick Manor. The house is very much as the Mander family left it in 1937 and the National Trust has preserved it. A look at the library. There is a desk close to the window on the left with papers and books probably used by Mr Mander. Stained glass window is in this room and in other rooms. Some parts were done up in 2018 to represent the Suffragette movement who finally gained the vote in 1918! View of The Great Parlour from the Gallery above. Plenty of period seating inside. A lady (a National Trust volunteer) seen playing the piano. While a man sitting on the bench takes a rest (I think he had his dog with him). A stags head seen at the far end of the room above the entrance to the room. Some of the buildings on the estate. This is now the Malthouse Gallery. Head up the steps to see the art inside. A Grade II* listed building. It was the Old Malt House. At the time of listing was used as an Education Centre. Was built either in the late 16th or early 17th century. It was restored for Theodore Mander in the late 19th century. Brick with red brick dressings; tile roof. The De Morgan collection is inside on the first floor of the malthouse. Various ceramics and paintings around the room. Before the Mander's bought the buildings and land, it was the site of a farm. The Hinckes family owned it from 1815 but leased it to the Moore's until the 1880's. The Malthouse was originally used for malting barley and brewing. The gift shop and plant sales are in this building (with the plants available to pick up from outside). This was the Old Manor House and it is a Grade II* listed building. Built for the Wightwick family in the late 16th or early 17th century. Theodore Mander has it restored in the late 19th century. Roughcast with brick dressings; tile roof with brick stacks. There is a coat of arms above the entrance to the gift shop. Also on one side is a sundial that resembles a black lion. The Old Manor House is a short distance away from the manor house that the Mander family had built in the late 19th century. A couple of windows have been installed on Two Chamberlain Square as the exterior columns rise, some nice views of the building as it sits amongst the city's classic and modern architecture. Lots of photos in the full post. Some interesting perspectives in this update showing the nearly completed building juxtaposed with the city's classic architecture and some views from the Library of Birmingham. You might sometimes see the Class 153 single carriage Sprinter's around the West Midlands railway network attached to the back of the Class 170 Turbostar trains. Sometimes on the Birmingham to Hereford line or the Birmingham to Rugeley Trent Valley line. On there own they were also on the branch lines out of Coventry (to Nuneaton or Leamington Spa). Also been on the Snow Hill lines. The Class 153 also known as the Super Sprinter are a single carriage diesel multiple unit train. They were built to be used on branch lines or rural lines were the number of passengers was not expected to be very high. They were built in 1987-88 and were converted in 1991-92. They have been used on many branch lines across the Midlands. These units could be attached to other DMU's such as the Class 150, and later with the Class 170. There is currently 10 Class 153's with West Midlands Railway (previously with London Midland and before that Central Trains). Starting off with the Class 153's I saw attached to Class 170's. Some I even travelled on (although I may have got on board the Class 170 instead!). I was at Shirley Station in April 2017 to check out the newly completed road bridge on Haslucks Green Road. When London Midland 153371 and 170633 arrived (was expecting the usual Class 172). There was about another 8 months before the old London Midland franchise would end and West Midlands Railway would start (around December 2017). This train was heading towards Worcester Foregate Street. I got on board the back carriage of 170633 and rode the train to Birmingham Moor Street. I saw Arriva Trains Wales 153323 at Wolverhampton Station during October 2013 (I was on a train from Birmingham New Street to Liverpool Lime Street for a weekend). 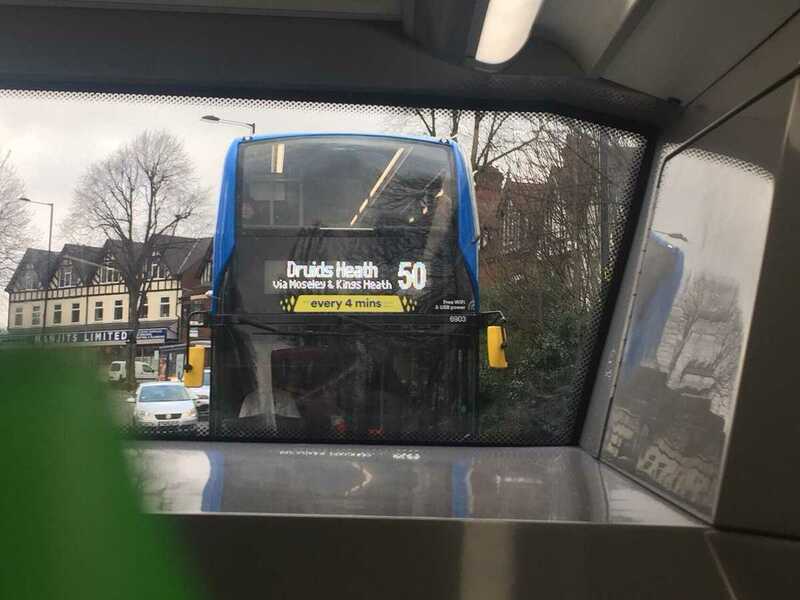 Arriva had the Wales franchise from 2003 to 2018. They used to run trains between Birmingham International and Holyhead in Wales via Wrexham Central. Transport for Wales took over the Wales franchise from October 2018. At Aston Station I expected to see / catch the usual Class 323 trains from this station. Heading to Perry Barr in August 2012, I got off my Cross City line train here, and waited for a train on the Chase Line. 153366 arrived with a Class 170 at the back. London Midland (and now West Midlands Railway) regularly have combinations of Class 153's with Class 170's. In the north of Birmingham, usually on the Chase Line to Walsall and beyond to Rugeley Trent Valley. The line was only electrified as far as Walsall. But for many years Network Rail has been electrifying the line towards Rugeley. So it meant that only diesel trains could go beyond Walsall. It's possible that electric trains could run on the line to Rugeley from about May 2019. In April 2018 I headed up on the train to Staffordshire, and got off at Hednesford. I walked down to Cannock. Later when I went back to Cannock Station I got this train back to Birmingham New Street. West Midlands Railway 153364 and 170513 arrived from Rugeley Trent Valley. It took the normal route via Perry Barr and Aston. My earlier train that day went the alternate route on the line that goes from Winson Green via Handsworth to rejoin the line at Perry Barr. Electrification of the Chase line was well under way at the time. The 11th December 2017 was the launch day of the new West Midlands Railway, and the city was full of snow! After a walk up to the Jewellery Quarter through the white stuff, I went to Jewellery Quarter Station to catch a train home. But West Midlands Railway 170634 and 153334 was only going as far as Birmingham Snow Hill Station due to various delays due to the weather! I had only seen 153334 a few days early at Bedworth Station (which was my last journey under London Midland). That day was dry, but it had snowed on the 10th December 2017! Chiltern Railways 168106 was seen at platform 2. Now to the branch lines. Starting with the Nuneaton to Coventry Branch line that goes via Bedworth. And second the branch line from Coventry to Leamington Spa via Kenilworth (that opened in 2018 after a few delays). I visited Nuneaton during May 2015, having arrived there on the Cross Country line that goes through the town from Birmingham New Street and onto the likes of Leicester etc. Coming back to Birmingham, I thought I'd try a ride on the Nuneaton to Coventry branch line. At Nuneaton Station was London Midland 153354. 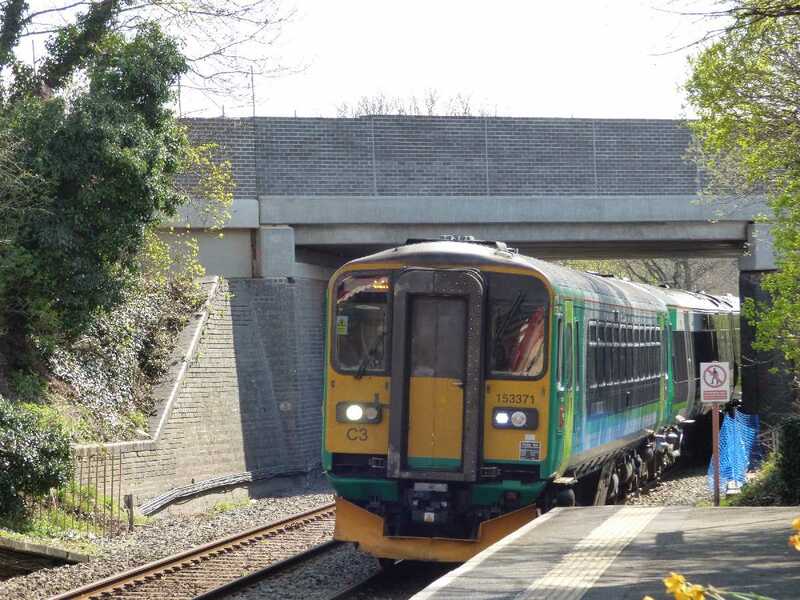 The train would pass the new stations under construction (at the time) as well as Bedworth (I would go there in late 2017 when the London Midland franchise ended). On the last ever day that London Midland operated their franchise in the West Midlands, on the 9th December 2017, I headed to Bedworth. I got London Midland 153334 and 153354 from Coventry to Bedworth Station. Later after I explored the town centre, I got the same train back on the opposite platform. Here (in the below photo), I had just got off the train from Coventry, and it was heading onto Nuneaton. By then all the new stations on the line including Coventry Arena were open. I was thinking ahead to the opening of Kenilworth Station, which should have opened the next day, but was delayed until May 2018! I had previously got a Class 153 from Nuneaton to Coventry Station back in May 2015. I saw another Class 153 at Coventry during October 2017, when I headed to the city to walk to the Coventry Canal Basin. London Midland 153375 was waiting at one of the platforms waiting to return to Nuneaton. That day I did observe Cross Country Voyager's heading on the branch line to Leamington Spa. In fact I tried the branch line early in March 2018, to see a glimpse of the new Kenilworth Station. The Cross Country Super Voyager I travelled on was packed, but I got a window seat, and I caught glimpses of the new Kenilworth Station. I would have to wait until May 2018 before travelling to Kenilworth by train! The new Kenilworth Station opened at the end of April 2018. I visited the station and the town on the 3rd May 2018. I caught West Midlands Railway 153364 from Leamington Spa (having earlier got a train from Solihull to Leamington Spa with Chiltern Railways). The station should have opened on the 10th December 2017 (the first day of operation for West Midlands Railway), but a series of delays meant it didn't open until the spring. There is only one platform at the new station. I later got the same train back towards Leamington Spa from the same platform. You can use this station if you want to visit Kenilworth Castle. Having got off my Chiltern Railways train from Solihull at Leamington Spa Station platform 3, I only had to walk a short distance to platform 4, to await a train on the Leamington Spa to Coventry branch line that had opened to the public for service days earlier. My visit was on the 3rd May 2018. West Midlands Railway 153364 would take me to Kenilworth. And I would later get it back to Leamington Spa on the way back to the West Midlands. The only difference between getting a train from Coventry to Leamington Spa with Cross Country, and West Midlands Railway, is that Cross Country would stop at platform 3 (and continue on south), while West Midlands Railway would terminate at platform 4. On both occasions, I had to walk down the steps to the subway, and head to the platform to get my Chiltern Railways train back to Solihull. 15 Feb 2019 - Elliott Brown Did you know? The Steelhouse Conservation Area is between Corporation Street and Steelhouse Lane. 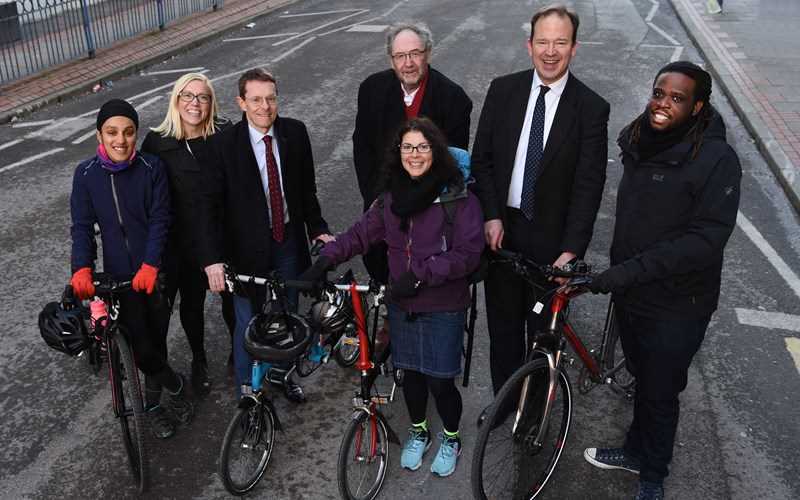 Starting approximately from Old Square towards James Watt Queensway. Buildings include the Victoria Law Courts, Methodist Central Hall, the former Steelhouse Lane Police Station and Birmingham Children's Hospital. The Old Fire Station near Aston University is part of the area too! The Victoria Law Courts on Corporation Street. Designed by Aston Webb & Ingress Bell who won a competition in 1886. It was built from 1887 to 1891. It is now the Birmingham Magistrates' Court. A Grade I listed building made of Red brick and terracotta. There is a statue of Queen Victoria by Harry Bates above the main entrance of the building. This view below seen in May 2009. 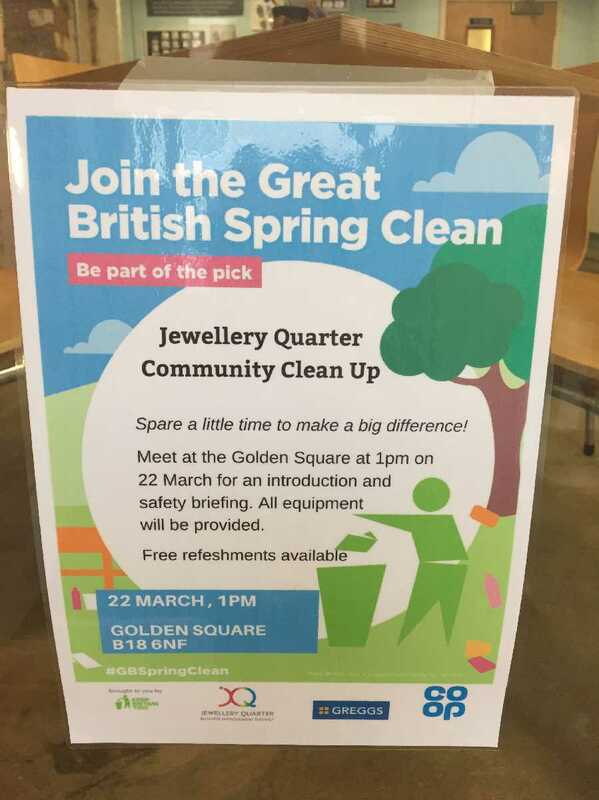 You would see it if you walk between Aston University and the city centre shops. Queen Victoria laid the foundation stone during her Golden Jubilee year of 1887 and it was opened in 1891 by the Prince and Princess of Wales. The County Court on Corporation Street seen with a brilliant blue sky in May 2009. On the corner of Newton Street (which leads to Steelhouse Lane). A Grade II listed building built in 1882, by James Williamson Stone. It is in Italiante palazzo style It has a Roman Doric porch on the left. One of Birmingham's derelict terracotta buildings is near the bottom of Corporation Street. The Methodist Central Hall runs down to Ryder Street (a pedestrianised cul-de-sac to James Watt Queensway). And the back is on Dalton Street. It is a Grade II* listed building. From 196 to 224 Corporation Street including 1, 3 and 5 Ryder Street. Built from 1903 to 1904 by E and J A Harper (Ewan Harper & James A. Harper) of Red brick and terracotta. There is many empty shop units down here, some have been let, and some of the units have been closed down by the landlord. The buildings future may include getting converted into a hotel. See this 2017 article on he Methodist Central Hall in the Birmingham Mail. This view from May 2009. The Pitman Building also known as the Murdoch Chambers and Pitman Chambers. Was originally a Vegetarian Restaurant. There is a plaque here for James Henry Cook who opened the very first Health Food Store in the UK on this site in 1898! A Grade II* Listed Building built from 1896 to 1897 by J Crouch and E Butler, partly for A.R Dean. Purple bricks and buff terracotta; tile roof. In an Arts and Crafts style. 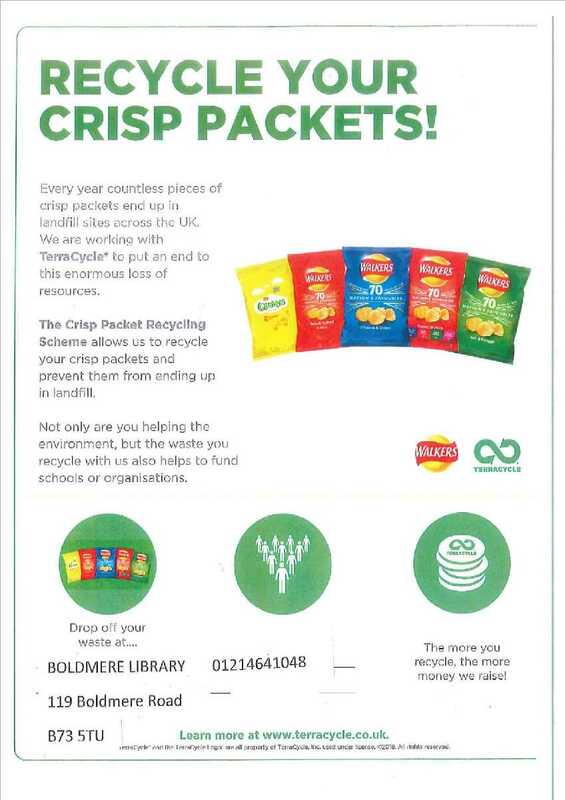 Today there is lawyer or solicitor offices on the upper floors and fast food take away places on the ground floor including Dixy Chicken and Pepe's Piri Piri. Previous places here include Min Zu until 2008 / 2009. Angel's Cafe from 2011, and Zaytuna'z Diner from a period from 2015 to 2016. This view from August 2017. Today Boston Tea Party is in the Court Restaurant building at 184 Corporation Street (from at least 2014 onwards). On the corner with James Watt Street. The architect was G. H. Rayner and was built after 1882. For many years it was vacant. Was previously Yate's Wine Lodge. Made of brick and stone. 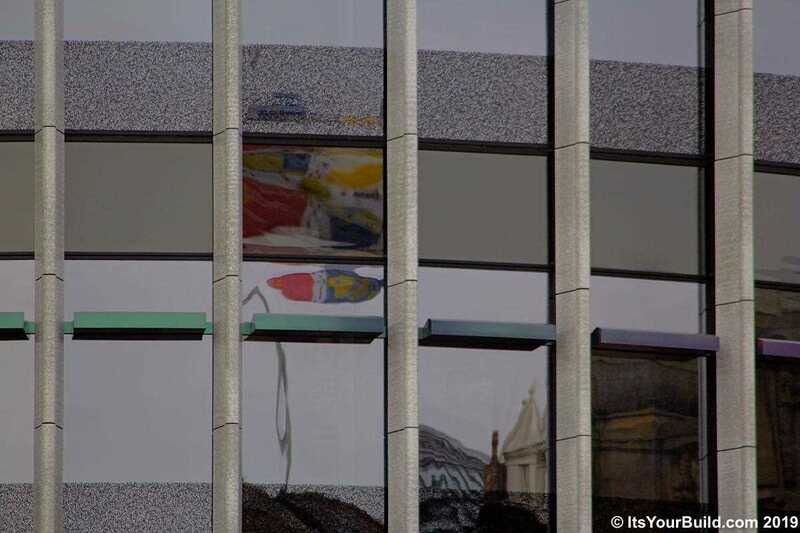 Boston Tea Party are also in part of The Citadel building to the left at 190 Corporation Street. That was by W. H. Ward and built in 1891. A short lived period as a Vietnamese Restaurant called Viet An Restaurant from 2010 to 2011. This view from June 2016. Pizza Express is to the left at 4 The Citadel (not in this photo). Steelhouse Lane Police Station was to the far left of the rear side of the Victoria Law Courts. This building opened in 1933 as the Central Police Station, replacing a Victorian police station that was on the same site. West Midlands Police used it until it closed down for good in 2017. This view was from November 2009 when the police station was still in use. It was built in the neo-Georgian style but is not a listed building. The only part that is Grade II listed is the corner building on Coleridge Passage which dates to the late 19th century. That was the Cell Block built of Brick and terracotta. The Birmingham Children's Hospital opened here in 1998 in the building that was formerly the Birmingham General Hospital which had closed down in 1995. It was opened as the Diana, Princess of Wales Children's Hospital after the late Princess Diana who had died the year before in 1997. The General Hospital was built from 1894 to 1897 by William Henman. Was built in the Romanesque style of th Natural History Museum in London. The rebuilt central entrance porch was built from 1995 to 1998. Various modern extensions have been built in the year since it became the Children's Hospitall. The building has never been listed. This view also from November 2009. This building also seen in November 2009 is a bit more recent than the others in this post as it dates to the 1960s. Fountain Court on Steelhouse Lane, has the four badges of the Inns of Court on the front above the entrance. They represent: Lincoln's Inn, Inner Temple, Middle Temple and Gray's Inn. The Fountain Court barristers' chambers was built between 1963 and 1964 by Holland W Hobbiss & Partners. A conservative brick classical block, with a majestic Bath stone cornice. It's between Printing House Street and Whittall Street on Steelhouse Lane. Seen on the corner of Newton Street and Steelhouse Lane is the Juvenile Court. As with photos above this view taken in November 2009. Following the Children's Court Act of 1908, it led to children's courts being established across the country. Dame Geraline Cadbury campaigned for such a court to be built in Birmingham, which her family donated to the city. This court was established by 1928 and opened in 1930. It was by Peacock & Bewlay, built of brick with stone dressings. Next door to the Juvenile Court is The Jekyll & Hyde pub at 28 Steelhouse Lane. The building was built in the 1960s. Was the site of The Queen's Head pub, which used to be ran by Mitchells & Butlers. A plain, tall four storey building. The pub was renamed from The Queen's Head to The Jekyll & Hyde in 2009, and it remains with that name today. Island Bar group who owns the pub also owns The Victoria on Station Street near the Alexandra Theatre. This view was from February 2010. Corporation Street and Steelhouse Lane leads to the helipad built for the Birmingham Children's Hospital. On the other side of James Watt Queensway, running between Lancaster Circus and Aston Street is The Old Fire Station. Corporation Street continues beyond Lancaster Circus and the Lancaster Flyover, but that is now considered part of the Aston Expressway. The Old Fire Station is a Grade II listed building. Originally built in 1935 by Herbert Humphries and Herbert J. Manzoni. Red Flemish bond with Portland stone and concrete dressings with a pantile roof. After the Fire Station HQ closed in the 2000s, in lay empty for a few years before being converted into student accommodation. It opened in 2015. This view from April 2014 when the crane went up. The Birmingham Hippodrome kindly arranged for some of our community enthusiast photographers to have press passes for the amazing Chinese New Year Celebrations, here is just a selection of the great photos taken. More by Barry Whitehead, Beverly Dakin and Rob Perry-Griffiths in the full post. 13 Feb 2019 - Elliott Brown Did you know? George Tangye and Sir Richard Tangye donated funds for the construction of the Birmingham Museum & Art Gallery, as well as the Birmingham School of Art. Head up the stairs from the Chamberlain Square entrance of BM & AG to see the bronze sculpture in their honour. The Tangye's were also manufacturers making engines and various machines from the mid to late 19th century. If you are heading up the main staircase from the Chamberlain Square entrance of the Birmingham Museum & Art Gallery, stop when you get to this bronze sculpture. It is made of bronze and marble and was unveiled in 1908. It was by William Robert Colton (1867-1921). They were engineering manufacturers and were generous patrons of the arts. They gave large sums towards the building of both the Museum & Art Gallery as well as the Birmingham School of Art. They presented their collection of fine Wedgwood ceramics to the Gallery as it's foundation. Sir Richard Tangye was born in 1833 and died in 1906. His brother George died in 1920. Their company Tangye Ltd was founded in 1856. Where they manufactured engines and machines. Their Cornwall Works was in the Soho area of the West Midlands. Memorial stone unveiled in 1884 by Richard Tangye at the Birmingham School of Art on Margaret Street. Architects William Martin and John Henry Chamberlain. The building opened in 1885. See my recent post on Edward Richard Taylor who was headmaster at the School of Art when the building opened on Margaret Street. Edward Richard Taylor and William Howson Taylor: Birmingham School of Art and Ruskin Pottery. This Tangye vertical engine was seen at the Black Country Living Museum in Dudley. Seen near a wall with a Walsall exhibit. Seen on a visit to the museum in August 2011. Seen in the Exhibition Hall in the Rolfe Street Baths building. Tangye Manual Fire Pump seen at the Birmingham History Galleries at Birmingham Museum & Art Gallery. I first visited this (then) new gallery in November 2012. In the section called Forward for the years 1830 to 1909. Above the Tangye sign was Webster & Horsfall's. To the right was Avery. It was previously seen at the Birmingham Museum Collections Centre in the garage area. Labelled as a Fire Engine. Made by Tangye Brothers in 1880. This visit was from May 2012, so was before the Birmingham History Galleries had opened over at BM & AG. The Titford Pumphouse seen on the Titford Canal. It is close to Langley Green Station and also near Oldbury in Sandwell, West Midlands. The Pumphouse is a Grade II listed building. It was built shortly after the Oldbury Locks opened in 1837. Blue brick with a slate roof. The beam engines was replaced in about 1930 with a Tangye gas engine. That has since been superseded by electric pumps which are used occasionally. I got the train to Langley Green in March 2017. Going back to my August 2011 visit to the Black Country Living Museum. Sidebotham's Trap Works seen a short walk away from the Dudley Canal. It was originally in Wednesfield near Wolverhampton and was built in 1913. It has a single cylinder gas engine of 1906, built by Tangye's of Smethwick. It is also known as The Trap Shop. Not far from here you can go on boat trips with the Dudley Canal Trust. 11 Feb 2019 - Elliott Brown Did you know? A pair of artists that lived on Highfield Road in Edgbaston, also had their hand in Ruskin Pottery in Smethwick. Edward Richard Taylor also helped to found the Birmingham School of Art on Margaret Street and was it's first headmaster. A collection of Ruskin Pottery is in the Industrial Galery at Birmingham Museum & Art Gallery. I also recently found a portrait of E. R. Taylor. Edward Richard Taylor was a potter and a painter. He was born in 1838 and died in 1912. He was the first headmaster of the Birmingham Municipal School of Arts and Crafts, from 1877 until about 1903. He also oversaw the opening of the Birmingham School of Art on Margaret Street in 1885. 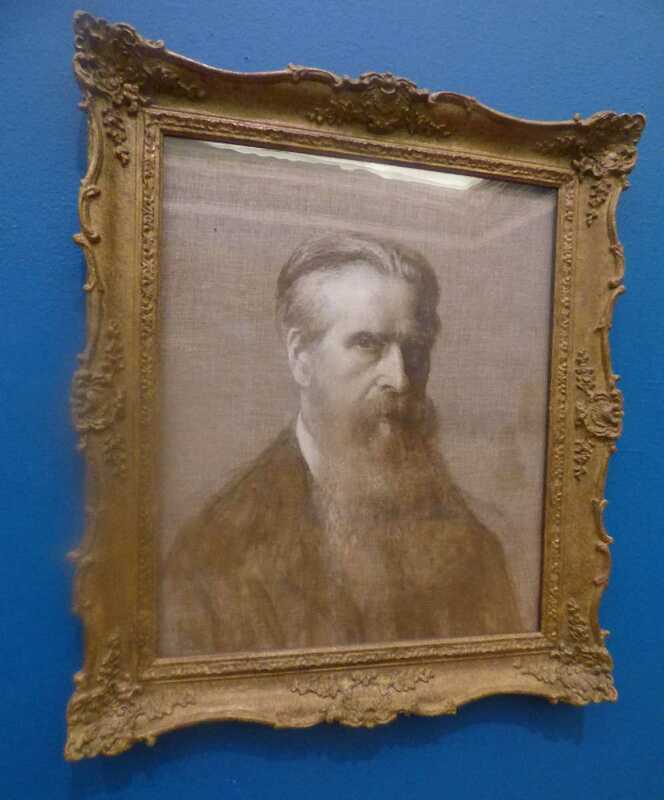 I saw this portrait of him in the Birmingham Museum & Art Gallery. The painting is dated 1905, but the artist is unknown. Although their is a possibility that the artist was Taylor himself! If you head up the stairs in the Industrial Gallery at BM & AG, be sure to make a look out for this Ruskin Pottery sign. These Ceramic letters were made at the Ruskin Pottery factory in about 1905. The factory was at 173 and 174 Oldbury Road in West Smethwick (at the time in Staffordshire, now in Sandwell, West Midlands). It was founded in 1898 by Edward Richard Taylor and his younger son William Howson Taylor. The company was named after the artist John Ruskin. The business was set up as the Birmingham Tile and Pottery Works before being renamed after Ruskin. Production ceased near the end of 1933, but firing and glazing of existing stock continued until 1935 (the year that Howson Taylor died). The Birmingham School of Art on Margaret Street. It is between Cornwall Street and Edmund Street in what is now the Colmore Business District. See my post on the Red brick Victorian buildings at the Colmore Estate. Edward Richard Taylor who from 1877 was the first headmaster of the Birmingham Municipal School of Arts and Crafts, oversaw the construction of the new School of Art which opened in 1885. The architects was William Martin and his partner J H Chamberlain. The building was completed after Chamberain's death by William Martin and his son Frederick Martin. The school helped lead the Arts and Crafts Movement. It is now part of the Birmingham City University as part of the Birmingham Institute of Art and Design. The building was taken over by the Birmingham Polytechnic in 1971, becoming it's Faculty of Art and Design. The Polytechnic gained University status in 1992 as the University of Central England. It was renamed to the Birmingham City University in 2007. Edward Richard Taylor (1838 - 1912) and his son William Howson Taylor (1876 - 1935) lived at this house at 26 Highfield Road in Edgbaston. There is a blue plaque there from the Birmingham Civic Society and the Calthorpe Residents Society. See my first Calthorpe Estates post in Edgbaston here Calthorpe Estates: Edgbaston - a selection of Georgian / Regency / Victorian villas / town houses. E R Taylor is mentioned on the plaque as being an art teacher, while W H Taylor is mentioned as being a potter. 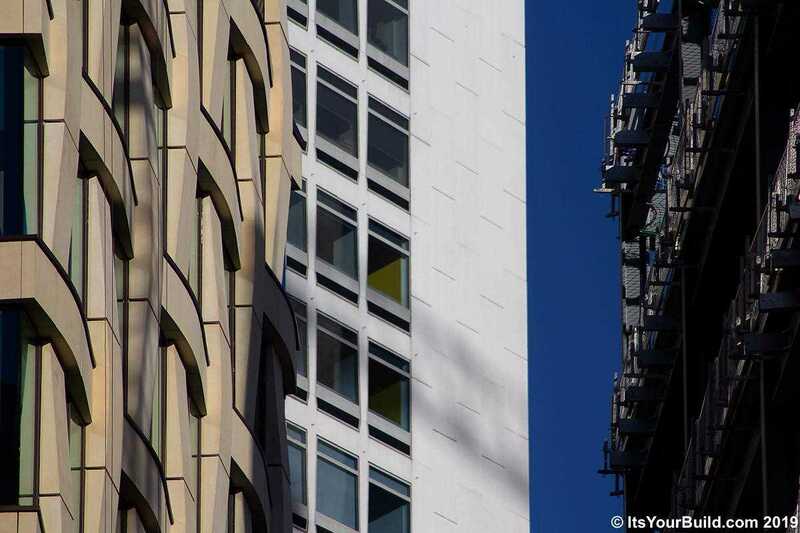 The construction focus at Arena Central is now on Three Arena Central (HMRC Midlands) but the finished One Centenary Square (HSBC UK) offers some nice architectural detail photos, lots in this update covering 6th and 10th February. The Class 150 diesel multiple unit trains used to be on the Snow Hill lines until around 2011. Most have since gone to other railway franchises such as Great Western Railway. When they were in the Midlands they were used by Regional Railways until 1997, Central Trains from 1997 to 2007 then London Midland from 2007 to 2011. A least one is still owned by West Midlands Railway now. These Sprinter Diesel multiple units were built between 1984 and 1987. In the West Midlands, Warwickshire and Worcestershire, they were used on the Snow Hill lines from at least 1987 until they were replaced in 2011 by the then new Class 172 Turbostar DMU's. The then West Midlands franchise operator London Midland kept around 3 of the old Class 150's after 2011 (they are still in current franchise operator West Midlands Railway who took over in late 2017. Seen at Shirley Station during late June 2010 was London Midland 150016. It was heading for Stourbridge Junction. This view was from the old Haslucks Green Road bridge. That bridge was replaced and rebuilt during 2017. The footbridge in this photo was also later replaced. The new footbridge was built at the other end of the station in 2014. Shirley Station is quite a way away from the Stratford Road in Shirley, and is reachable from there now with the no 49 bus. My second photography trip to Stratford-upon-Avon was during September 2010. I had just got off London Midland 150013, a semi-fast train that skipped the minor stops between Whitlocks End and Stratford-upon-Avon Station. This view was from the Alcester Road bridge in the town. Now the end of the line, it used to go beyond here to Honeybourne, and it is hoped that the 9 mile stretch would one day be restored. For now, most services that start at Stratford go to at least Stourbridge Junction, or beyond towards Kidderminster or Worcester Foregate Street (via Birmingham Snow Hill). My first time up to the bridge near Livery Street and Northwood Street (in the Jewellery Quarter) was in August 2011. From here (at the time) you could see Two Snowhill beginning construction (after delays of several years). Seen heading past St Paul's Tram Stop was London Midland 150101 heading into Birmingham Snow Hill Station. After leaving London Midland later in 2011, this train and other 150/1's transferred up to Northern Rail. Around 4 years after the franchise had transferred from Central Trains to London Midland, most of the trains on the Snow Hill lines still had (at the time) the old Central Trains lime green livery. It was September 2011, and I was heading to Hall Green Station to get the train into Birmingham. And I was hoping to see or catch one of the (then) brand new Class 172 DMU's. But London Midland still had the Class 150's on the Shakespeare line. This was the 10:08 (which I missed). After a 20 minute wait, I caught the next train the 10:28 into Birmingham. It would be another 2 months (November 2011) before I would catch a new Class 172 for the first time to Birmingham Moor Street or Snow Hill. The view from Kings Norton Station, on the Cross City line. I was standing at platform 4 during April 2012, waiting to go to Longbridge. While one of London Midland's Class 150 trains that they kept, 150109 was seen passing by the abandoned platform 2. Still in the old Central Trains livery. London Midland would later change it into their own green livery, and today it is still part of current franchise operator West Midlands Railways's fleet! This train was slowly heading south towards Hereford. An American man on the platform was chatting to me, and said that he had never seen a train like that before! Getting to the more recent years and December 2017, the last month of operation under London Midland. I went up to Lye Station near Stourbridge in the Metropolitan Borough of Dudley for a photo walk of the town. When I got back to the station, was suprised to see a convoy of a mixture of London Midland DMU's heading towards Stourbridge Junction (or onto Worcester). By then, London Midland's 3 Class 150 DMU's was in their green livery. Seen here behind a Class 170. This convoy had one Class 172, two Class 170's and this one Class 150 (pictured). My most recent sighting of a Class 150 in the West Midlands was when I caught a glimpse of it passing through Stechford Station during early January 2018. Now operated by West Midlands Railway, this was either 150107 or 150109. It was probably heading down towards the Bedford line (which is now operated by London Northwestern Railway). From here you expect to see the Class 350 EMU's on the West Coast Mainline or Virgin Trains Class 390 Pendolino's (those don't stop here). This view was from the Station Road bridge. 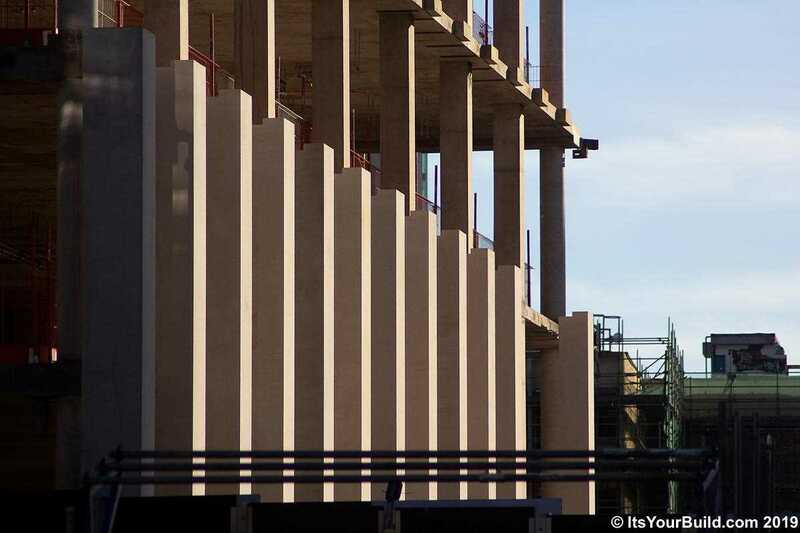 Two Chamberlain Square is onto cladding installation and the front colonnade extention is almost complete. The extra columns really help to start showing the emerging architectural style of the building. More photos in the full post. One Chamberlain Square is well on the way to completion with just a few external details to finish of. In the sunlight it is actually a very reflective building, lots of photos in this update. 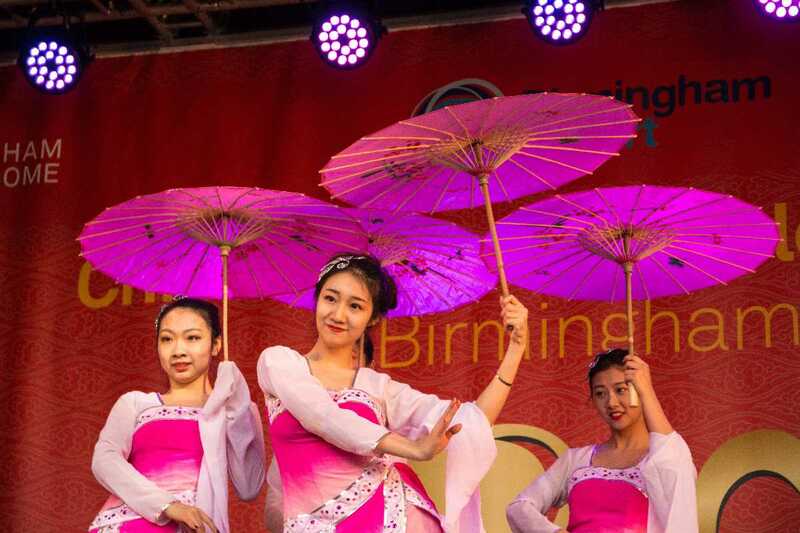 As Chinese New Year 2019 the Year of the Pig gets underway, a look back at the festivities in Birmingham a year ago in 2018. I'm not sure yet if I'll be able to get anything this year, so here's a look at my photos from last year! 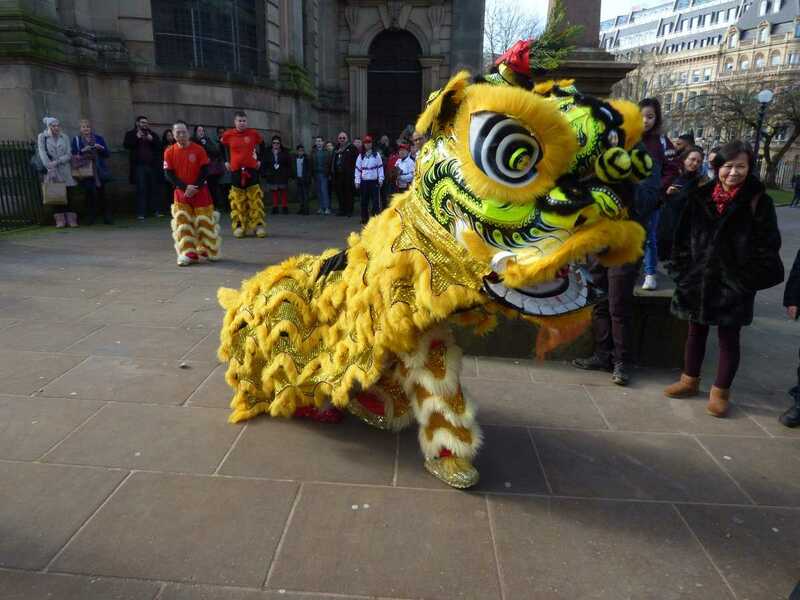 I mainly saw the yellow Chinese dancing dragon / lion around St Philip's Cathedral. By the weekend main event in the Chinese Quarter. The Bullring bull had a Chinese New Year mask in 2018 (from what I've seen online they reused the same mask for 2019). This is the black and white filtered version with a splash of colour! Mostly the reds and yellows! The colour versions back and front! These views were from the 15th February 2018. One lunchtime on the 16th February 2018, saw a yellow dancing dragon or lion going around St Philip's Cathedral. Graham Young from the Birmingham Post & Mail was there, as well as Jas Sansi! The festivities over in the Chinese Quarter over the weekend of the 17th and 18th February 2018. "Happy Chinese New Year 2018 Year of the Dog". This sponsorship on a digitial billboard was seen on Ladywell Walk near Chung Ying Cantonese Restaurant. A small fun fair was set up along Ladywell Walk towards Hurst Street. Near the Mapstone building. This side of Ladywell Walk from near Hurst Street. Another look at the fun fair and market stalls that were on the street at the time. The stage on Hurst Street being set up. The next day it was full of people enjoying the entertainment! A day later and performances were taking place on the stage, and there was a crowd full of people there to enjoy the entertainment!